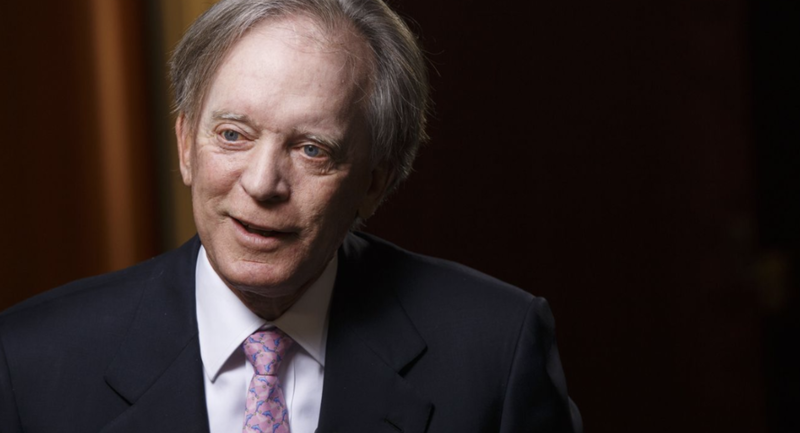 It has been nearly a month since Bill Gross announced his plans to retire from the asset-management industry (an announcement that, sadly, wasn't exactly surprising following a flood of redemptions from his Janus Unconstrained Bond Fund over the prior year). But after what appeared to be an exit interview of sorts where Gross discussed the legacy of QE, whether the Fed "got in his way", and the limitations of the "unconstrained" bond fund model, the legendary bond investor - who built Pimco - the Newport Beach asset manager he founded back in the 1970s - into one of the largest money managers in the world (while racking up a legendary string of returns at its flagship Pimco Total Return fund, which swelled to more than $300 billion AUM under his management) - Gross sat down for a 90-minute conversation with Bloomberg, ostensibly to commemorate his final day in the office before beginning his "next chapter". Describing that conversation as illuminating would be an understatement. During a wide-ranging discussion, Gross offered a wildly different outlook on monetary policy, the deficit and the reasons behind his successes - and failures - as an investor and fund manger (remember, Gross was infamously ousted from Pimco back in 2014 after clashing with other managers, including his former right-hand man Mohamed El-Erian). And - oh yeah- he revealed that he had been diagnosed with Aspergers, a form of autism, as an adult, a condition that, Gross said, may have exacerbated many of his interpersonal conflicts (not only at Pimco, but also in his marriage, which recently ended in a notoriously acrimonious tabloid divorce). In another highlight from the interview, Gross, a longtime QE critic, sounded - as BBG described it - like a "near-convert to Modern Monetary Theory". Speaking for the first time on record about his increasingly liberal politics, the one-time deficit hawk said he wouldn't see a problem with the federal government pushing the deficit out to $2 trillion, if the Fed would commit to a Japanese-style open-ended program of deficit monetization. He also expressed admiration for "Democratic Socialist" Alexandria Ocasio-Cortez, and even endorsed her plans for a 70% marginal tax rate on incomes over $10 million (though Gross said, if he had his druthers, the top rate wouldn't be quite so high). In a sound bite that was more reminiscent of Bernie Sanders than Benjamin Graham, and directly contradicted Donald Trump's vow that the US would never become a socialist country, Gross said he wouldn't be surprised if a socialist was elected to the highest office in the land in the not-too-distant future. "Why can’t the government have a $2 trillion deficit if the Fed is simply going to buy it, like they do in Japan?" Gross said. "Well, Jim Grant would say, ‘Mmm, it would be inflationary.’ But it hasn’t been. So, yeah, I would say Trump or the next president, whoever he or she is, could go to $2 trillion, as long as the Fed was willing to accommodate." Gross kept his diagnosis a secret, sharing it with close friends, and dropping only one hint publicly. In a February 2016 blog post on investing, Gross speculated as to why he wasn’t included as a character in Lewis’s best-seller: "Perhaps I wasn’t addled enough like co-star hedge fund manager Michael Burry, who I share affection for and an affliction (and it’s not a glass eye)." "The markets are substantially different today than they were when I started, more day-to-day, more robotic, more machine-dominated," he said. "So it’s not a negative, but it’s probably not as much of a positive." "I’m an Asperger, and Aspergers can compartmentalize," he said, revealing his diagnosis publicly for the first time. "They can operate in different universes without the other universes affecting them as much. Yeah, I had a nasty divorce, and I still had, you know, feelings about Pimco. But I think I did pretty well in compartmentalizing them. Not that I didn’t wake up in the middle of the night and start damning one side or the other. But when I came to work it was all business." "It’s allowed me to stay at 30,000 feet as opposed to being on the ground," Gross said, discussing why he thinks Asperger’s probably made him a better investor, if also infamously short-tempered. "That’s not necessarily good in terms of one-to-one. People think you’re angry or an a-hole or whatever. But it helps you to focus on the longer-term things without getting mixed up in the details." And the billionaire and registered Republican agrees with Democratic Rep. Alexandria Ocasio-Cortez that the rich should pay more in taxes - if not quite the 70 percent she’s proposing at the margin. It’s a "necessary evil" to correct the failings of American capitalism, Gross says, adding that if inequality persists there’ll be a "revolution at the ballot box." "Maybe the next time, the next election, there will be a ‘socialist’ in the White House" he said. "The wealthy have been advantaged for a long time and certainly the past few years with the tax cuts. The middle class hasn’t necessarily suffered, but the gap has increased." The question is how heavy the tax burden should be. Other billionaires, such as Oaktree Capital Group LLC’s Howard Marks, have warned against the consequences of “confiscatory taxes.” Gross says a top marginal rate of 70 percent - the number floated by Ocasio-Cortez - would be too high. "I just think Trump took it too far," he said. Probably not, according to Gross. One reason is the proliferation of passive investment vehicles. Anyone who claims to be a king of index funds is “just a puppet because the market is making the decisions.” Gross volunteered that he wouldn’t pick Jeffrey Gundlach, the chief executive officer and co-founder of DoubleLine Capital who’s frequently cited as the new king. If anyone, he said it might be Scott Minerd, the chief investment officer at Guggenheim Partners, in part because of his “great long-term perspective." "In the right environment, 20 years ago, he could have been a bond king," Gross said. "But I don’t think he’s got the market or maybe the willingness to be a king. Who would? Well, I guess I did. In retrospect it carries a certain burden. The crown is heavy." And with that, Gross is off to spend his days playing golf and waking up at the (for Gross) uncharacteristically late hour of 6:30 am PT. However, he won't ever entirely disconnect from markets: He's planning to manage his $1.4 billion fortune (and the $500 million in his charitable foundation) in his one-man family office. But at the still-spry age of 74, we wouldn't rule out the possibility that Gross might one day grow bored and decide to give managing outside money another shot.